Today was Day #5 of Chocolate and Bolivia Theme Week. 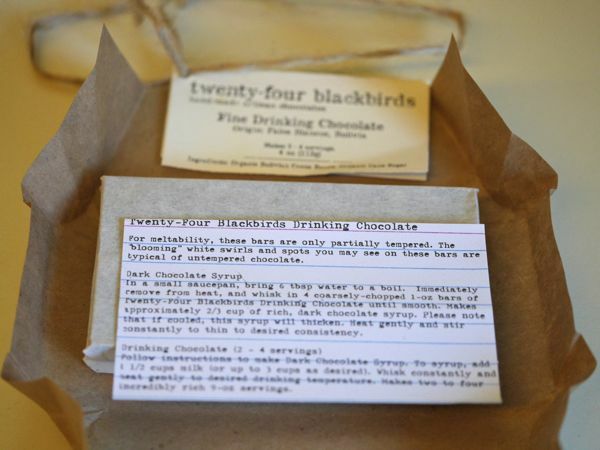 Today's package of Fine Drinking Chocolate chocolate, carefully wrapped in brown craft paper and string, was from twenty-four blackbirds (Santa Barbara, CA). 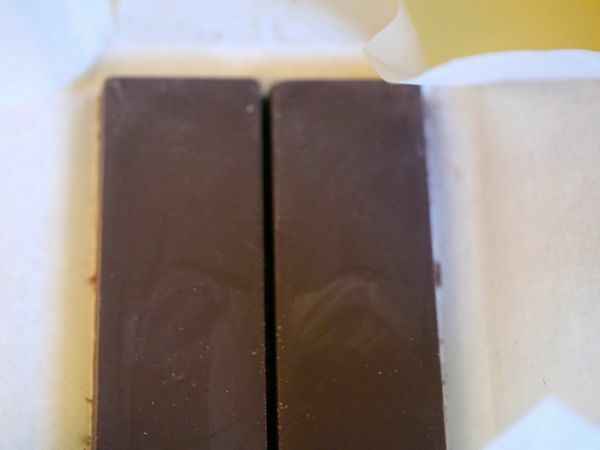 The package contained four 1 oz. (28.3 g.) bars of partially tempered chocolate, made with organic Bolivian cacao beans and organic cane sugar. This chocolate came with a simple instruction card. 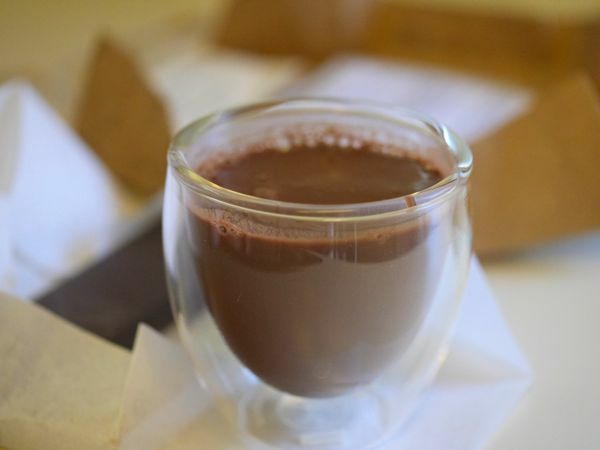 One or more bars could be mixed with a small amount of boiling water and stirred to make a rich, thick small cup of drinking chocolate. The resulting hot chocolate had a faint chocolate caramel note in the aroma, and was much richer in chocolate flavor that hot cocoa you might find in most of the U.S. 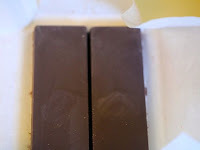 The texture was quite thick (consistent with stoneground and/or rustic drinking chocolate from Mexico and Central America), and not too sweet.